Sever’s disease is a common heel injury that occurs in children. It is painful and caused by swelling of the growth plate in the heel. Children can injure this growth plate through typical weight-bearing activity (activity performed while standing). Sever’s disease can cause heel pain in one or both heels. It usually starts after a child begins a new sports season or a new sport. Your child may walk with a limp. The pain may increase when he or she runs or jumps. You may notice your child tiptoeing to avoid putting pressure on his or her heel. You may notice swelling or redness in the heel area. The foot is one of the first body parts to grow to full size. This usually happens in early puberty. During this time, bones often grow faster than muscles and tendons. As a result, muscles and tendons become tight, making the heel area less flexible. During weight-bearing activity, the tight heel tendons may put too much pressure at the back of the heel (where the Achilles tendon attaches). This can injure the heel and cause Sever’s disease. Your child is most at risk for injury in early puberty during a growth spurt. Sever’s disease is most common in physically active girls 8 years to 10 years of age. It is most common in physically active boys 10 years to 12 years of age. Soccer players and gymnasts often get Sever’s disease. But children who do any running or jumping activity may also be at an increased risk. Sever’s disease rarely occurs in older teenagers because the back of the heel has typically finished growing by 15 years of age. Your child’s symptoms will play a big role in the diagnosis. The doctor will also examine the injured heel. He or she may squeeze both sides of the back of the heel to see if it causes pain. This is called the squeeze test. Can Sever’s disease be prevented or avoided? Sever’s disease may be prevented by maintaining good flexibility. Stretching exercises can lower your child’s risk for injuries during the growth spurt. Talk with your doctor for more advice. Quality shoes with firm support and a shock-absorbent sole will help, too. Your child should avoid excessive running on hard surfaces. If your child has already recovered from Sever’s disease, stretching and putting ice on the heel after activity will help keep your child from developing this condition again. First, your child should cut down or stop any activity that causes heel pain. Apply ice to the injured heel for 20 minutes 3 times a day. If your child has a high arch, flat feet, or bowed legs, your doctor may recommend orthotics, arch supports, or heel cups. Your child should never go barefoot. If your child has severe heel pain, medicines such as acetaminophen (one brand name: Tylenol) or ibuprofen (some brand names: Advil, Motrin, Nuprin) may help. Yes, stretching exercises can help. It is important that your child performs exercises to stretch the hamstring and calf muscles, and the tendons on the back of the leg. The child should do these stretches 2 or 3 times a day, holding each stretch for about 20 seconds. Your child should stretch both legs, even if the pain is only in 1 heel. Your child also needs to do exercises to strengthen the muscles on the front of the shin. To do this, your child should sit on the floor, keeping his or her hurt leg straight. Hook one end of a bungee cord or piece of rubber tubing around a table leg. Hitch the other end around the child’s toes. Your child should scoot back just far enough to stretch the cord. Next, your child should slowly bend the foot toward his or her body. When the child cannot bend the foot any closer, he or she slowly points the foot in the opposite direction (toward the table). Your child should do this exercise (15 repetitions of “foot curling”) about 3 times. No long-term problems have been linked to Sever’s disease. However, call your doctor if your child’s heel pain does not get better with treatment, gets worse, or if you notice changes in skin color or swelling. What could have caused my child’s symptoms? What is the best treatment option for my child? How long before my child can expect relief from his/her symptoms? 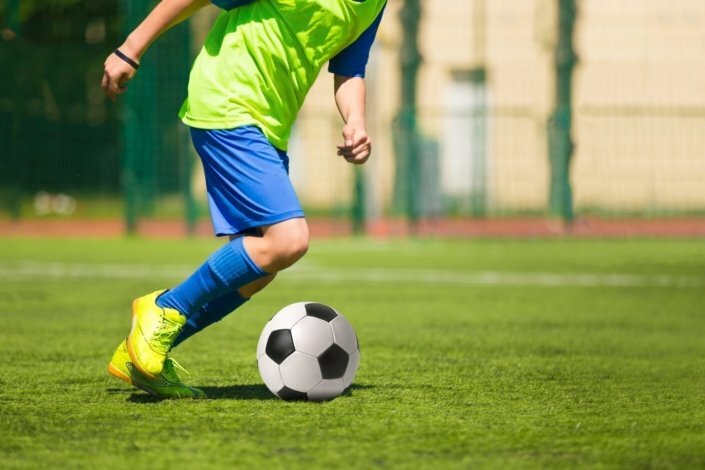 When can my child return to his/her sport/activity? Is it possible that my child’s symptoms could return? Is it safe for my child to exercise? What kind of exercise should he/she do?